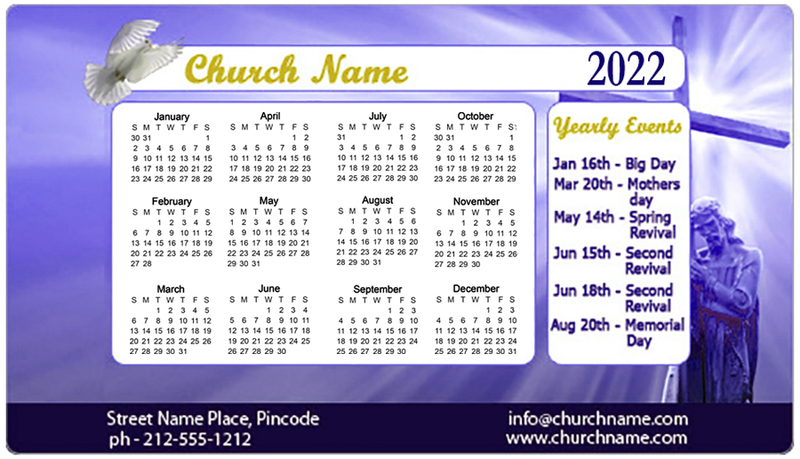 4x7 Custom church calendar magnets 20 Mil round corners will keep church information before patrons 365 days a year. These personalized calendar magnets can be customized with church prayer information and contact details. These magnetic calendars are ideal giveaways for church, charities, spiritual groups and individual prayer groups. You can give these personalized magnets to each member of the congregation and ensure that church information remains at the top of their minds always. Order from us today to get started with these personalized church magnets at guaranteed low prices. 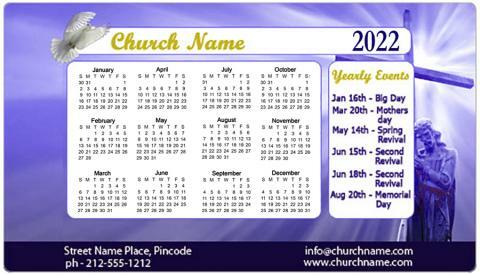 Request a quote to know discounts that you can avail on bulk ordering these 4x7 personalized church calendar magnets 20 Mil round corners.